Proud to be an American. 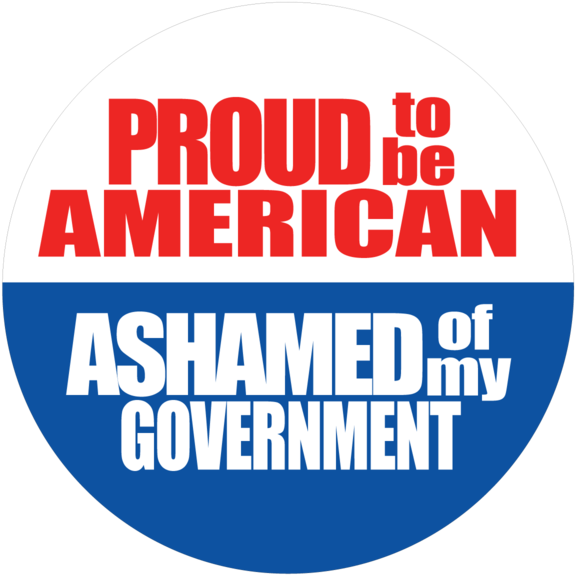 Ashamed of my government. Especially President Donald Trump. Button is 1 & 1/2"